The SANSA Stack is one of the earmarked big data analytics components t o be employed in the BETTER data pipelines. The Smart Data Analytics group announced yesterday SANSA 0.4 - the fourth release of the Scalable Semantic Analytics Stack. 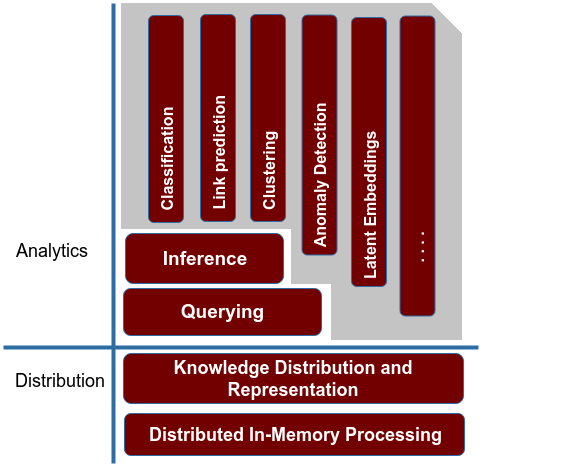 SANSA employs distributed computing via Apache Spark and Flink in order to allow scalable machine learning, inference and querying capabilities for large knowledge graphs. You can find the FAQ and usage examples at http://sansa-stack.net/faq/. You are using an outdated browser. Please, upgrade your browser to improve your experience.